This is quite a weighty item. Wouldn't advise lugging it around in a rucksack - but perfect for caravan awnings - and indeed tents if they are transported in a car! 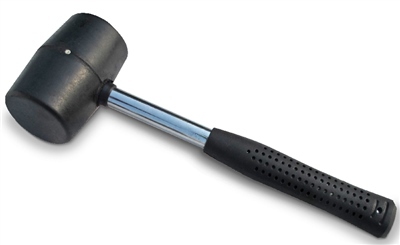 Heavy dense rubber head, nice chrome handle and a comfortable soft grip. Good purchase and a snip at the price.